However excited I may be about being in the north coast and wine country, I find myself even more thrilled about getting to slow down and shop at Thistle Meats and Green String Farm in Petaluma. Whether you're flying in from out of state or just getting out of San Francisco for the weekend or week, they're the perfect place to stock your getaway kitchen or day trip basket. Petaluma has become the ideal-logical food producing hub of the North Bay; surrounded by organic vegetable/fruit farms and ranches. First stop, Thistle Meats: The small and intimate shop you must visit. When you enter Thistle Meats you're immediately transported back to the old day's feel of a whole animal butcher shop; white tile walls, red brick, and the chance to witness knife skills usually kept behind closed doors. 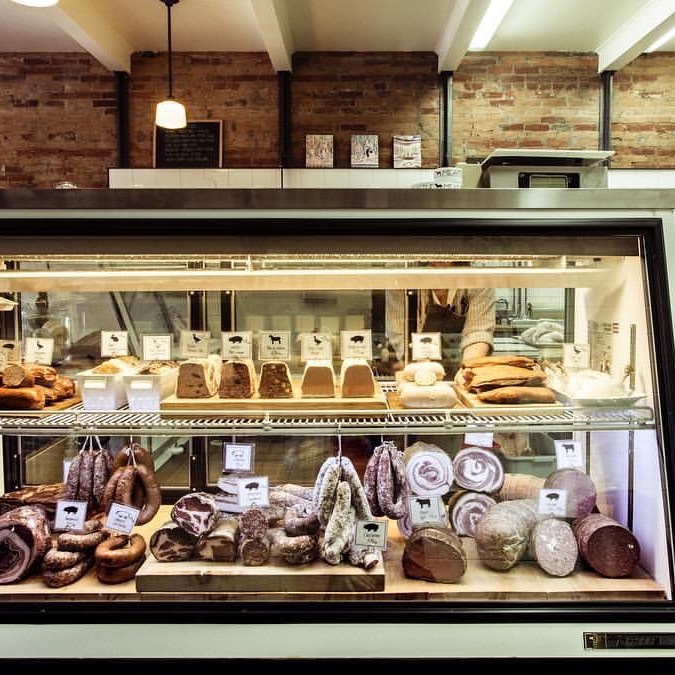 Sublime cuts, sausage, salami, pâté, rillette, mousse, and even crépinettes "humanely raised meat sourced directly from local farms and ranches....with farmers who maintain the highest standards of animal husbandry." While you are waiting for your choices to be sliced and wrapped, pick from the area's finest cheeses(Andante is a must try), crackers, pasta, Little Apple Farms granola, Strauss milk, yogurt, and butter, Coastal Hill Farm eggs, June Taylor jam, and Wild West Ferments. They also have a prompt daily sandwich menu to quell that traveling hunger. 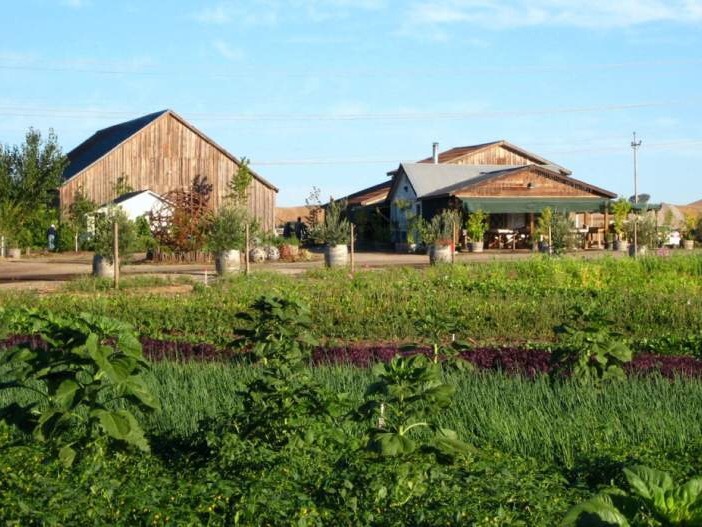 Next stop is Green String Farm: The perfect start to the back roads of wine country. The farm applies the growing techniques of one of the legends of the sustainable food movement, Bob Cannard. They use the philosophy of "50% for humans, and 50% for nature" ensuring a necessary balance while creating large open green spaces and safe habitat for wildlife. 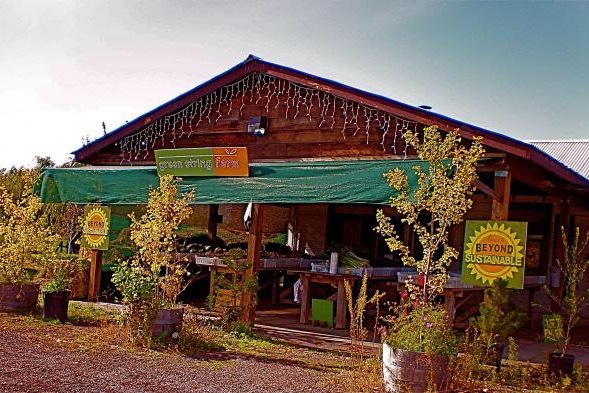 From the old barn store you can look out on the surrounding fields while you select your vegetables, Cline olive oil, Revolution bread, and Green String Farm produced pasta sauce and preserves. 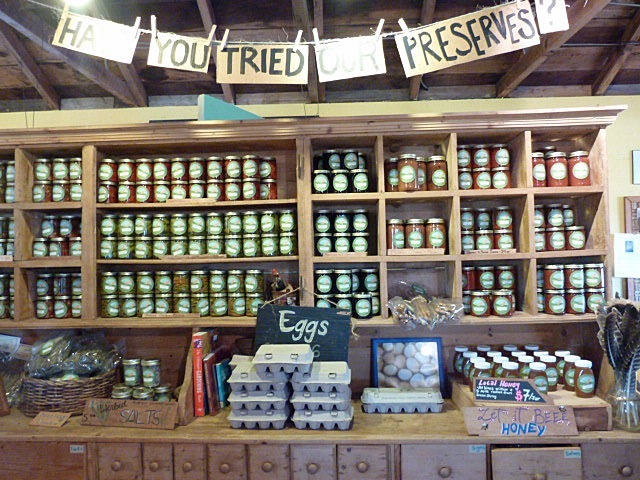 You'll be amazed at how little you spend on these responsibly grown goods while knowing you'll truly be eating local.